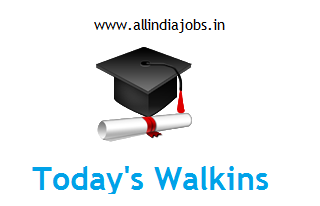 Today Walkins: In this page you can find today’s walkins, tomorrow walkin drives across India. We update this page every day to provide you fresh and relevant job notifications across India (Bangalore, Chennai, Delhi, Hyderabad, Mumbai, Noida, Kolkata, Gurgaon, Pune, Vijayawada, Coimbatore, Cochin and many other places). Bookmark (Crtl+D) this page and keep visiting on regular basis.